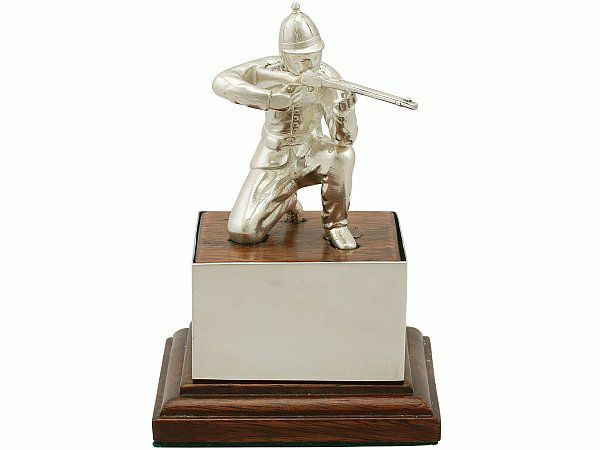 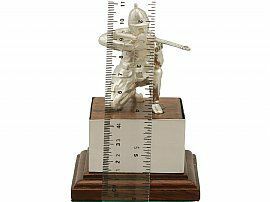 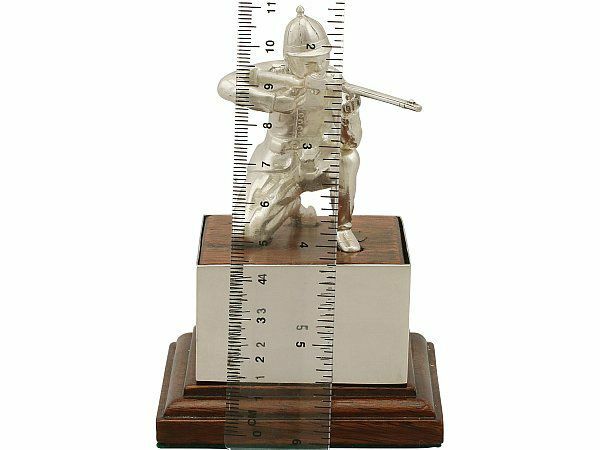 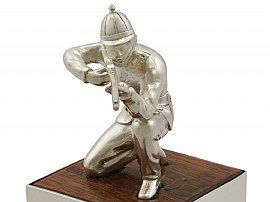 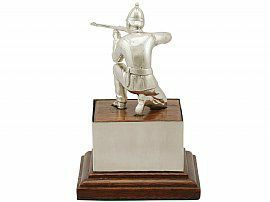 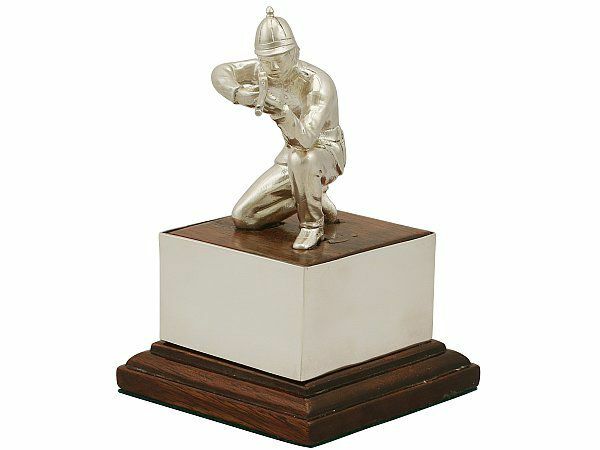 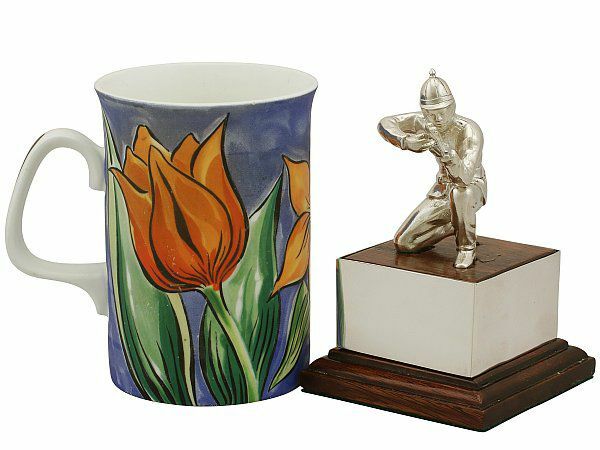 This fine vintage Elizabeth II English cast sterling silver trophy has been realistically modelled in the form of a crouching soldier holding a musket. The model is embellished with impressive cast details reproducing the fine details of the soldier's Victorian attire, including a dagger and ammo pouch to his belt. The sterling silver soldier is displayed on the original oak wood presentation plinth. 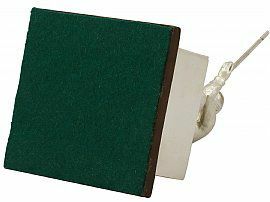 The cuboid plinth is fitted with a vacant silver inscription band; the band may be engraved with a personal inscription if so desired. This fine presentation silver solider trophy is fitted with green baize to the underside. 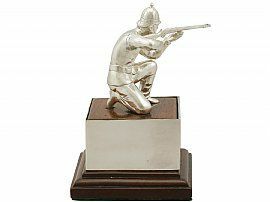 This vintage presentation soldier is an exceptional gauge of silver, fine quality and in exceptional presentation condition. Full hallmarks struck to the surface of the soldiers boot and trouser leg all very clear. 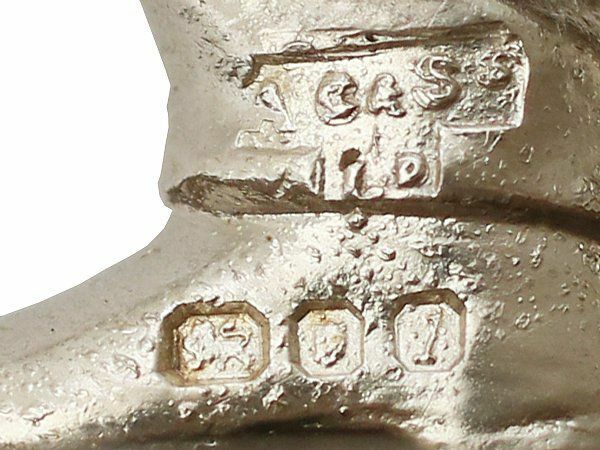 Length from back of arm to tip of musket 6.4cm/2.5"